Corals are the tiny animals that come together to form the colorful coral reefs that you may see on one of your dive trips. In addition to being beautiful, coral reefs provide homes to marine organisms, protect coastlines, and more. SSI's Coral Identification Course helps to familiarize the diver with common families of coral species. 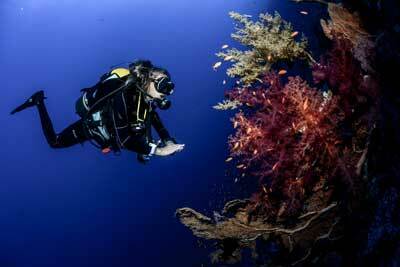 To take SSI's Coral Identification Course, you must be at least 10 years old and Open Water Certified. In SSI's Coral Identification Course, you'll learn how to identify different species of hard and soft corals, how to identify healthy and unhealthy corals, and more. 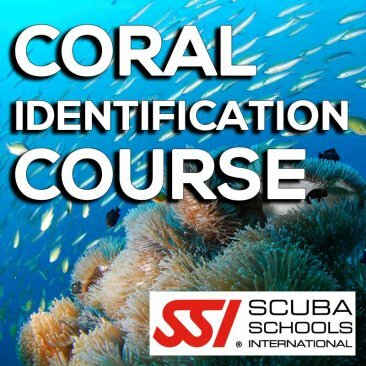 This Coral Identification class is part of SSI's Digital Learning System, which utilizes teaching with text, videos, illustrations, and more online in the comfort of your home. A pool session or open water dive is optional for an additional fee. You will earn the SSI Coral Identification Specialty certification after completing this program.